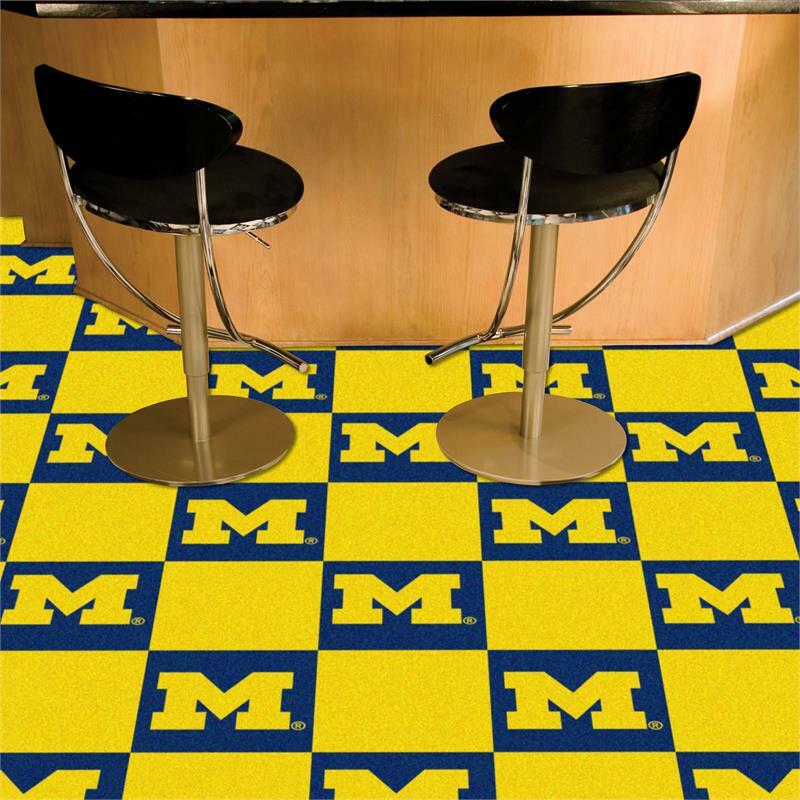 Support your Michigan Wolverines from the ground up with Team Carpet Tiles from Fanmats! 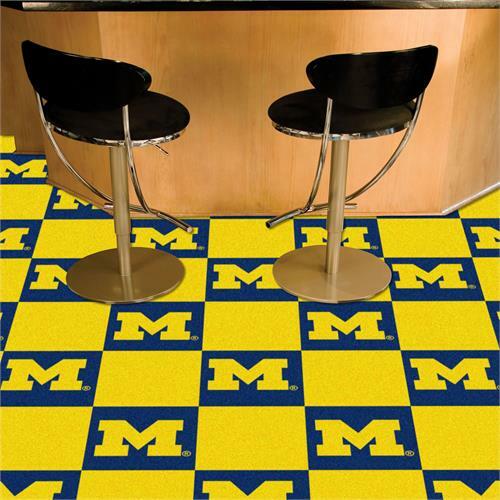 Packaged 20 tiles per box, the set includes 10 18" x 18" logo Carpet Tiles and 10 18" x 18" team color Carpet Tiles, for a total of 45 square feet per case. No underlay or pad is required and the 100% man-made fiber provides softer feel and improved wear and fade resistance.